Destroy the greedy pigs' defenses with a bunch of Angry Birds. Featuring challenging gameplay and hundreds of levels that require logic and skill to solve, Angry Birds will offer you hours of fun! 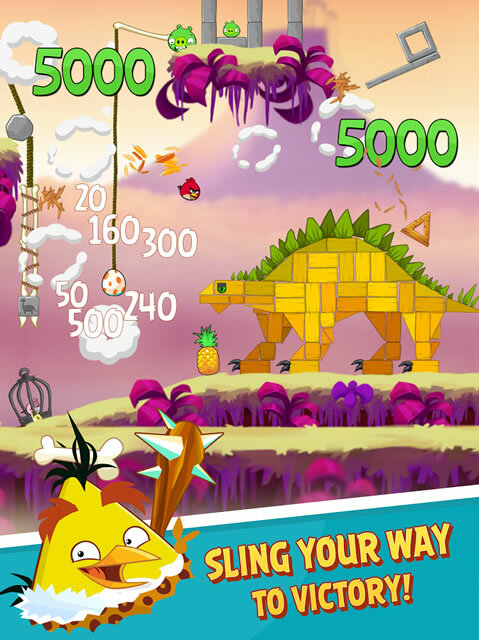 The survival of the Angry Birds is in your hands' it's time to exact revenge on the greedy pigs who stole their eggs! Now with power-ups, you can boost your birds' abilities and unlock bonus content! 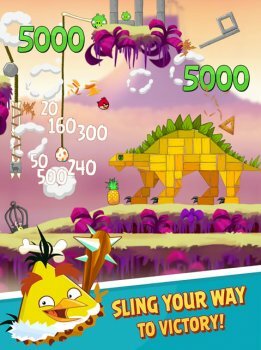 Use the Sling Slope to target your enemy pigs, maximize flinging power with the King Sling, supersize your birds with the Super Seeds, and cause a mighty Birdquake to shake those pigs' defenses! Cons: can't even get to the game. Says that google servers not working. Got it running and was a real crappy experience. Excess promotions. When an old game worked it was extremely lag prone. Got rid of it after wasting quite a bit of tie with it.